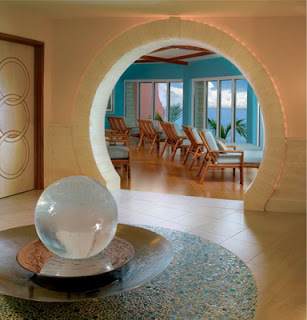 Inspired Whims: Bermuda, Bahamas...Come on Pretty Mama. Bermuda, Bahamas...Come on Pretty Mama. I figured it was about time to write another travel post, this time about somewhere tropical and warm. It's been so cold and damp here in Portland - you know that down-to-the-bone chill - and I've been adamant against busting out the heavy winter coat until at least December. It's silly, I know, but I think a waterproof shell should be enough for this time of year, right??? 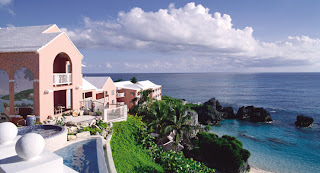 Lately I've been thinking about a wonderful trip we took last Spring to Bermuda. I wanted to share some of the gorgeous island with you because it's a beautiful retreat from the cold and it's quick and inexpensive to get there from several large cities on the east coast. Bask in the beauty of Bermuda! I had never heard much about Bermuda before we signed up for our cruise to the island. My husband and I had been to several nice Caribbean islands over the years - St. Maarten, St. Thomas, Puerto Rico, Bahamas, Cozumel, etc. - but we didn't want to spend the travel time to get that far south from Maryland (where we lived at the time). We opted for a 6-day Royal Caribbean cruise out of the Port of Baltimore that took us direct to Bermuda for 2 days. 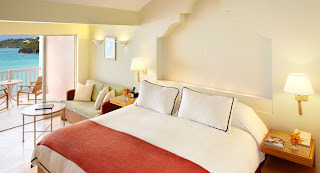 This was a great money-saver for us because we didn't have to fly anywhere to get to the port...we only lived a mile from the cruise terminal! 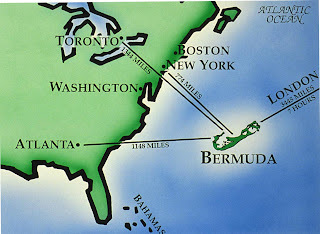 If cruising isn't your deal, and you'd rather just fly, there are several airlines that fly direct into Bermuda from the east coast. I've seen really good deals with Jet Blue specifically. The island is enlarged here, but you can see how close it is to several US cities with major airport hubs. When you get to the island and take in that mild climate, striking turquoise water, and laid-back lifestyle, you'll understand it all...and wonder why you hadn't thought to go there before. The island is very small and it's extraordinarily expensive to live there (everything but the water is imported); however, this turns out to be great for tourists because it's extremely clean and well kept. You won't see a spot of trash anywhere and the locals are extremely hard-working, many with 2-3 jobs, just to keep up with living in such an expensive place. It has a completely different feel than other islands I've been to - much less hectic with no bustling markets of vendors yelling at you to purchase their wares. I felt like it was a hidden gym that was waiting to be discovered, and I was lucky enough to be on the early-entry guest list. The pristine city of Hamilton, the capital and main business hub of the island. A lovely park in Hamilton. People gather in the park for lunchtime during a busy work week...very cool. Bermuda is quite famous for it's golf courses, but my favorite part was the pink-sand beaches. The sand gets its color from the crustacean shells that have broken down in the sand over time. The water was uber chilly...let's just say that only my toes made it in. But, had I not been so distracted by the thought of laying out in the warm sun and taking an uninterrupted hour to read a book (I had a 7-month-old at the time), I would have braved the temperature and broken the plane of that gorgeous blue-hued water. This is Horseshoe Bay beach. It was quiet, serene, and simply divine. There were little coves where you could completely escape from everyone else. We were not able to make it to the most historic area of the island, St. George, but we heard wonderful things about it. There is a delightful town square and numerous forts and old churches to visit - you could spend days there basking in the history of the island. Fort St. Catherine in St. George, Bermuda. I'm bummed we missed it...but there is always next time. We did a little exploring around King's Warf (a.k.a. the Royal Naval Dockyard), where our ship pulled in. 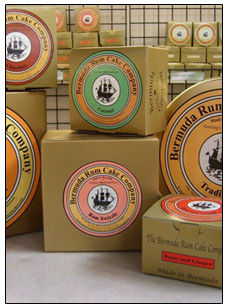 Bermuda is well know for it's rum, so we did some rum-cake tasting at the Bermuda Rum-Cake Company. I don't really care for rum, but rum-cake is delicious! Chocolate, coconut, banana, ginger, traditional...any flavor of run-cake. You name it, it's there! 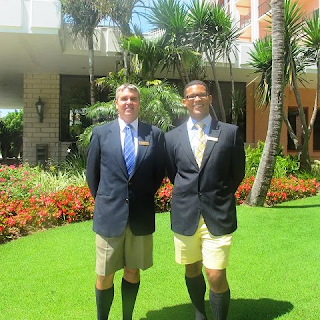 There is a lot of British influence in Bermuda, as it's a British overseas territory. Love those red phone booths, even if they are quite obsolete in this day and age. Lovely architecture! 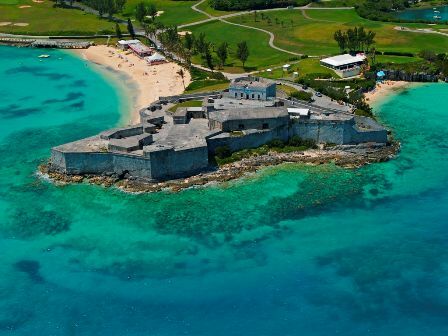 All the roofs in Bermuda are white from a Lyme coating that is required by code. The Lyme serves as a natural water filtration method because water is such a precious resource there. When it rains, the water runs over the roof, is naturally purified, and flows from gutters into cisterns underground. Yes, men actually wear this outfit to work in Bermuda, even the bankers! I hope we get the chance to return to Bermuda someday. It's a place I left thinking "If I had millions of dollars, my tropical get-away would definitely be here!" It's a quiet haven and second-home for movie stars (i.e. Michael Douglas and Catherine Zeta Jones) and financial moguls (i.e. Ross Perot) alike. And, I now know why! When we go back, I'd love to stay in this seaside hotel that we passed while on the bus - The Reefs. (Oh, and Bermuda has a fantastic public transportation system with buses...loved that!) I'm not so certain the hotel is super affordable...but, one can dream and there is always "off season" pricing. ... Did you just say that Bermudians keep 2 or 3 jobs to keep up in such an expensive country? I'm Bermudian and that is certainly NOT the case. Wages are quite high here so most don't need to do that. Furniture Face-Lift - New Knobs!